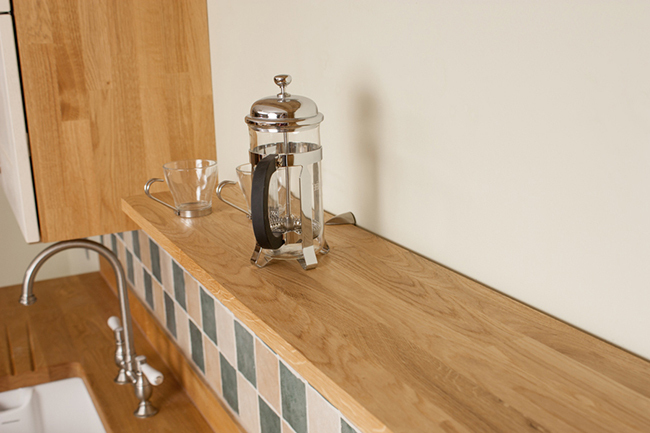 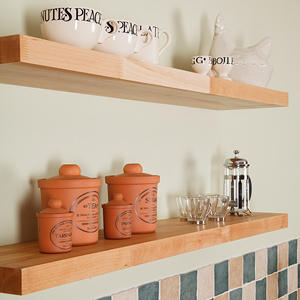 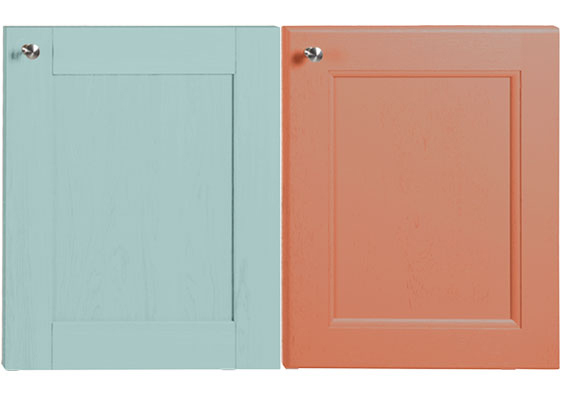 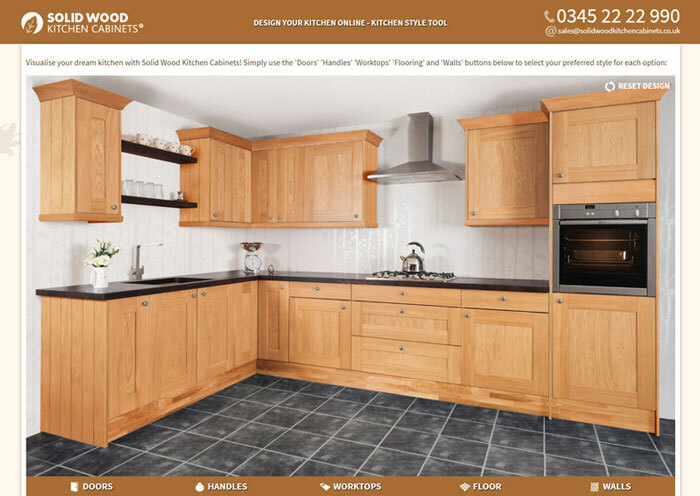 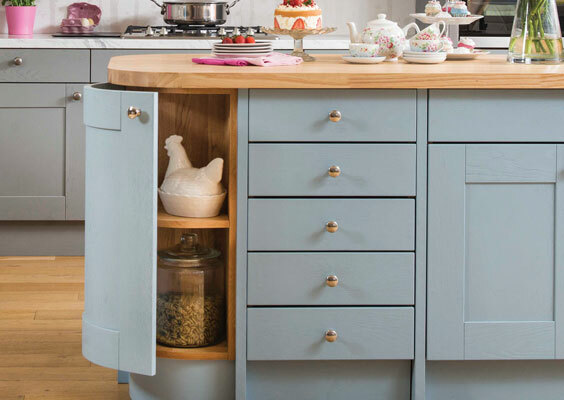 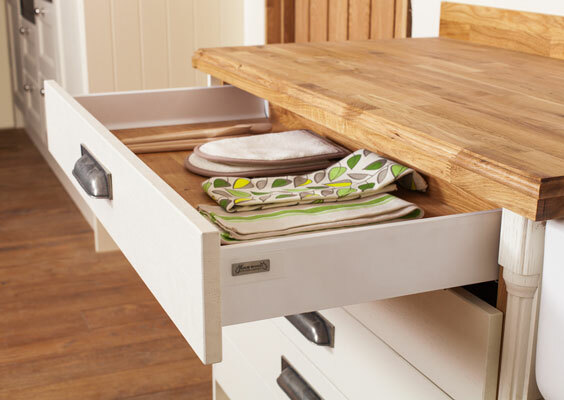 Our wonderful selection of shelves is the perfect complement for your solid wood kitchen. 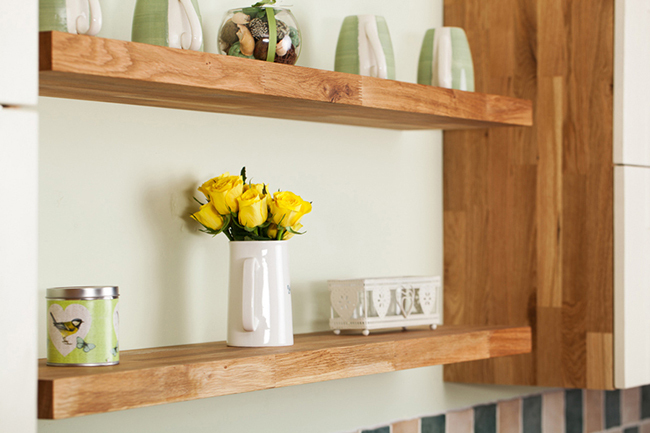 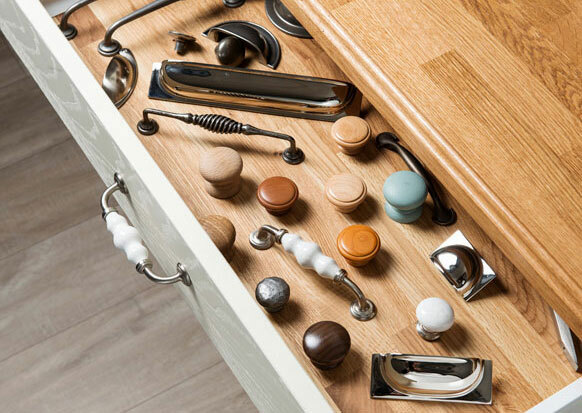 Made entirely from real timber, our kitchen shelves are constructed from a collection of solid wood staves, which have been meticulously finger-jointed, bonded under high pressure, and sanded to a flawless finish. 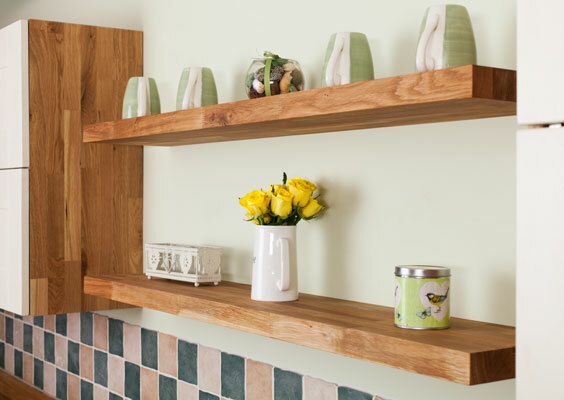 These solid wood kitchen wall shelves are available in two styles: a standard shelf range, which is accompanied by a selection of supporting brackets, and our magnificent floating wall shelves that come with specialist invisible brackets included. 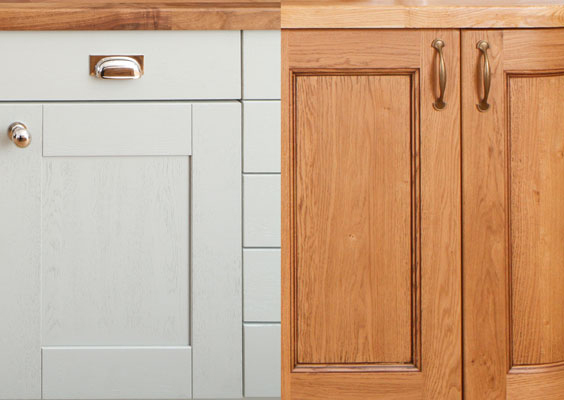 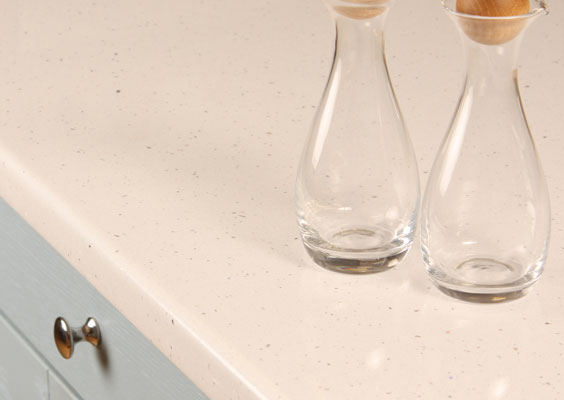 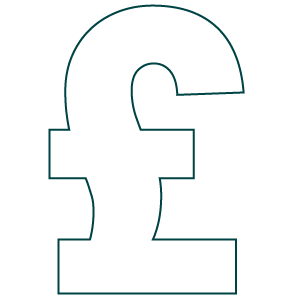 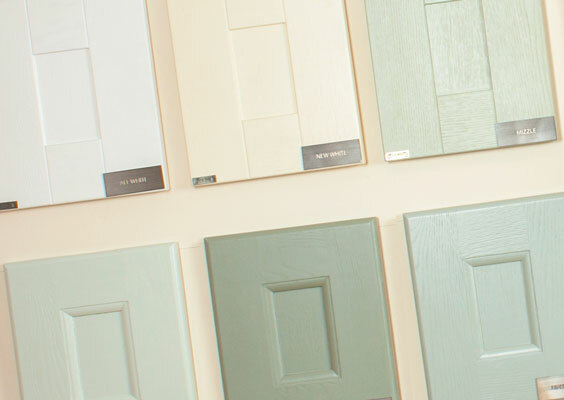 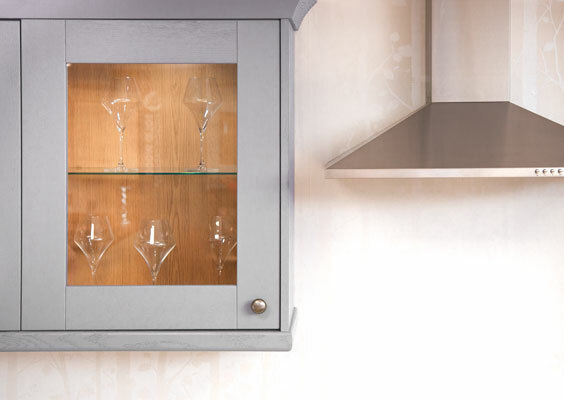 From charmingly traditional oak to elegant, pale ash, all our timber is sustainably sourced and manufactured using the latest innovations in wood-cutting technology to ensure maximum precision. 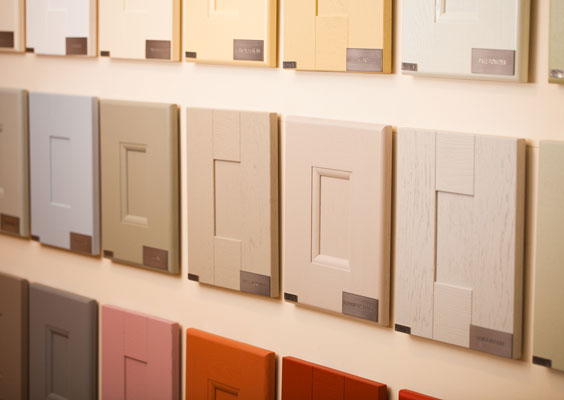 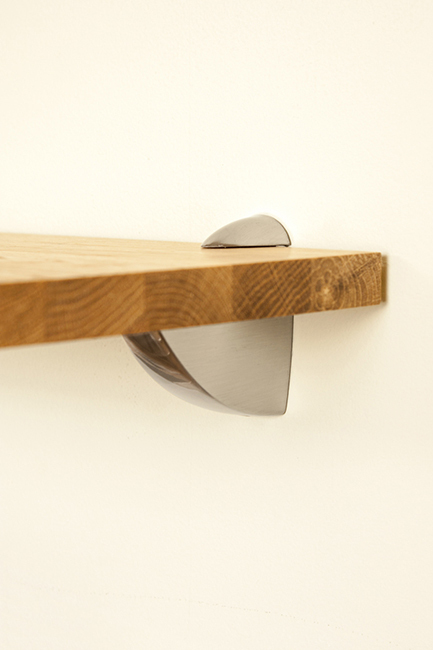 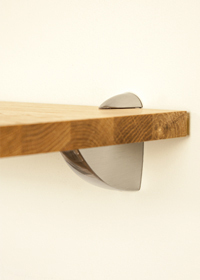 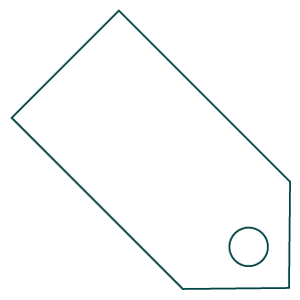 Once they are cut to size, every individual shelf is carefully sanded to achieve a superior-quality finish. 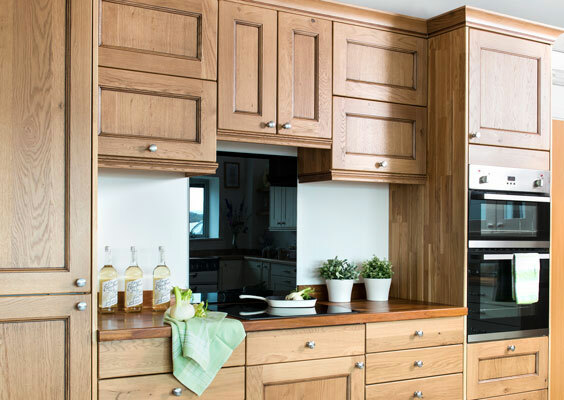 Our kitchen shelves are then given three coats of Danish wood oil to help protect the timber whilst beautifully showcasing the stunning and unique grain pattern of the wood. 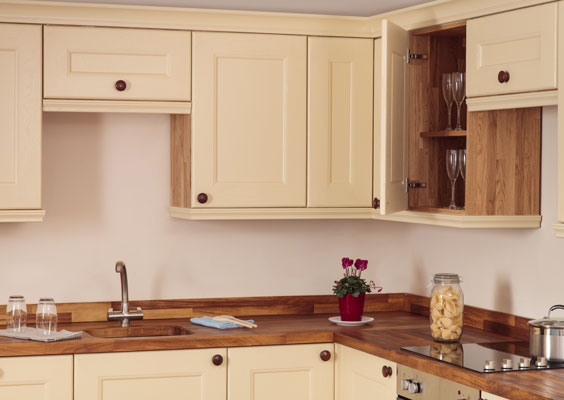 If you would prefer shelves with a painted finish, we also offer a range in Farrow & Ball's inviting New White: a welcoming shade of water-based, low-VOC paint, which looks particularly fantastic when paired with matching cabinet frontals and our painted kitchen island trolleys. 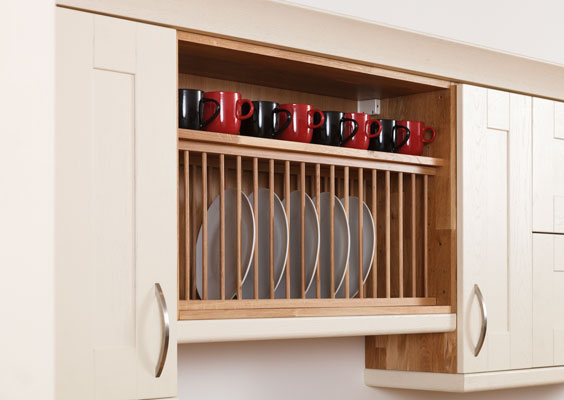 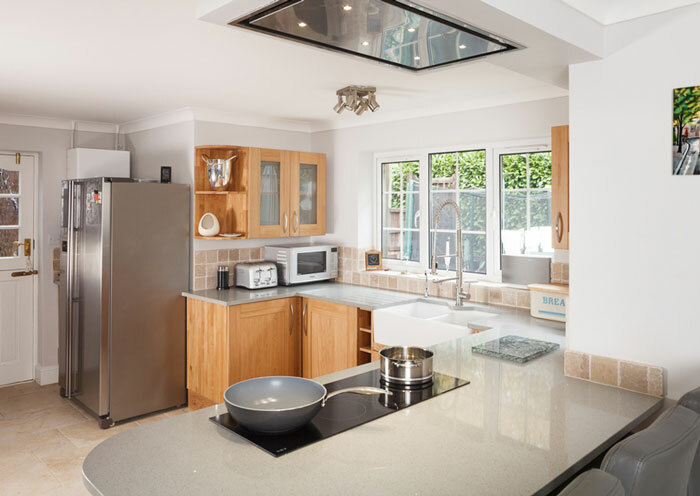 We are pleased to provide shelves in a variety of styles and lengths to suit kitchens of all proportions, starting from 300mm and ranging up to 1500mm long. 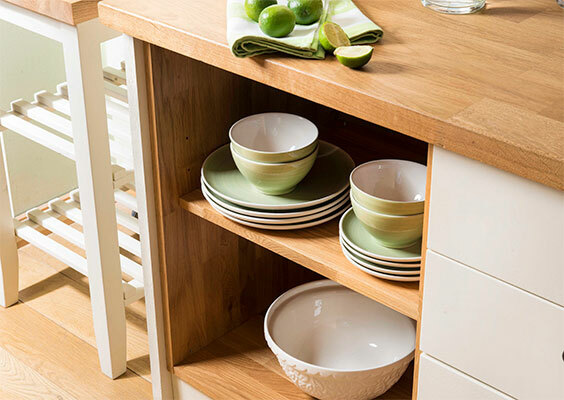 Our standard kitchen shelving is available with a thickness of either 18mm or 27mm, whilst our floating shelves offer a more substantial thickness of 40mm. 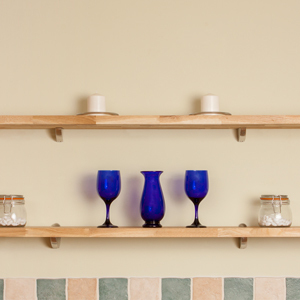 We recommend mounting all shelves onto a solid brick or concrete wall; if you have stud partition walls, we suggest fixing shelf brackets directly into the studs. 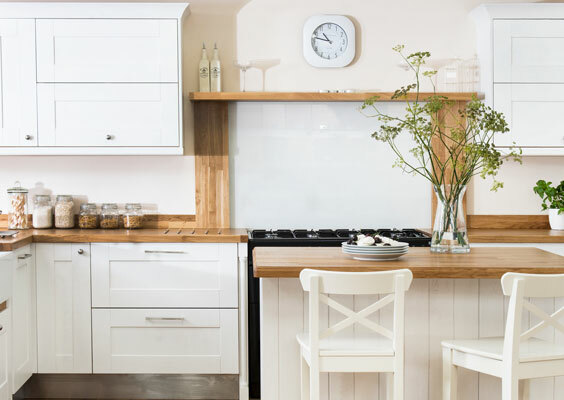 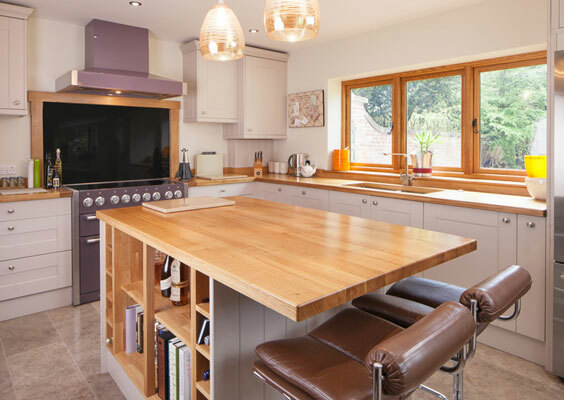 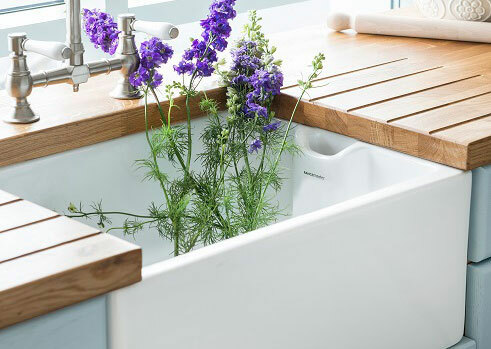 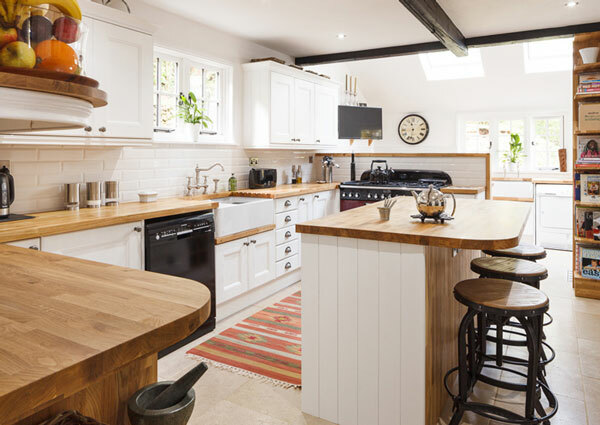 Opt for shelving made from the same timber as your wood worktops for an impressive and well-coordinated kitchen aesthetic. 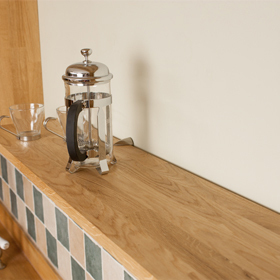 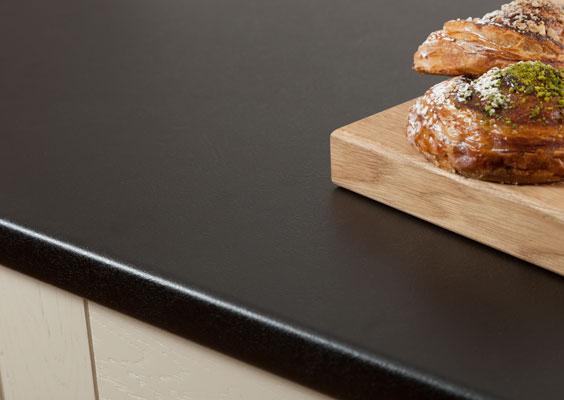 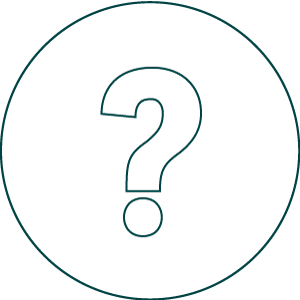 For on-going maintenance, we recommend Rustins Danish Oil to keep the surface in excellent condition. 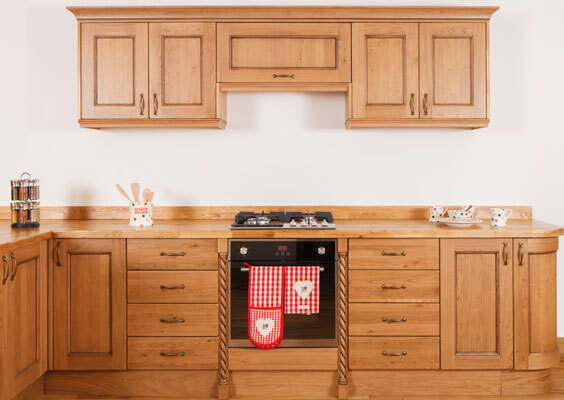 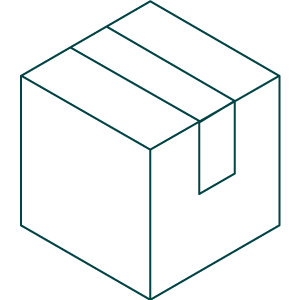 Wood is a natural material that adds character to any room; as such, occasional small knots or splits may be present which - though rare - are considered a part of the timber's unique appeal.